Posted on December 7, 2013 under Fiction. 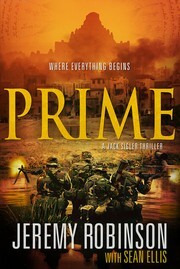 When a raid on an insurgent safehouse leads to a clue to decoding one of the world’s greatest mysteries–the Voynich manuscript–which may contain a recipe for creating the ultimate biological weapon of mass destruction, Delta operator Jack Sigler must forge a new black ops team to avert catastrophe. While bullets fly, he recruits a group of deadly warriors with dangerous secrets, assigning each member a chess piece callsign and dubbing them Chess Team. But nothing is what it seems…and no one can be trusted. As the search for the truth about the manuscript moves across Asia and into the darkest reaches of human history, Chess Team must battle enemies beyond comprehension–nightmare creatures of myth and perverse creations of science–to preserve a secret as old as life itself.